Fill in the booking form below. You will get an acknowledgment that it has been sent which contains a unique reference number. Turn up on the day at least 15 minutes before the trip and enjoy your trip. This method cannot be used for booking Scout trips; please refer to the page concerning these. You can also use this page to send trip enquiries, to check an existing booking or to cancel reserved trips. We also show the Safety Guidelines that you will receive before your trip. You can make a booking for any trips listed on the booking form below. Bookings normally close at least a day before the trip. Take note of the booking reference number you get after booking and if you want to check your booking, come back to this page and put it in the box below; you can cancel a booking made through the Internet but cannot amend it. You can send payment before the day or bring the fee (£7.50 per person) in cash on the day. You can make payment in advance by following links from the booking confirmation page. Visitors who do not arrive at least fifteen (15) minutes before the trip time may lose their place. Please be on time. Other enquiries about trips can be sent to the Club or you can go back to the general page on visiting. Privacy: email addresses and telephone numbers collected by the booking system are not used for any other purpose. However, if you want the details removed after the trip, please contact the Webmaster. Further details and a contact email address are on our Data Protection page. 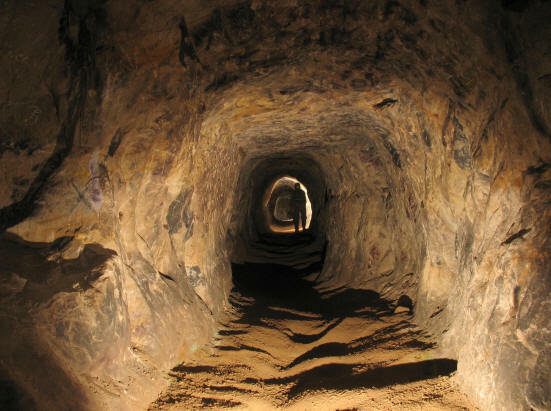 Wood Mine Tuesday 28/05/2019 1900 Booking not available here None This is a trip run by the DCC on behalf of Cheshire East Ranger Service. For details and to book, please go to https://www.cheshireeast.gov.uk/leisure,_culture_and_tourism/ranger_service/ranger_events/ranger_events.aspx which will take you to a booking page on Eventbrite. Please do not contact the DCC about this trip. 23:59 on 15/06/2019 Map Meet outside Wizard Tea Room behind the Wizard. Cars can be parked in the main car park - use side entrance opposite the Tea Room. It may be possible for a small party to visit West Mine but this may be an arduous trip for some with several fixed ladders. 23:59 on 13/07/2019 Map Meet outside Wizard Tea Room behind the Wizard. Cars can be parked in the main car park - use side entrance opposite the Tea Room. It may be possible for a small party to visit West Mine but this may be an arduous trip for some with several fixed ladders. Wood Mine Tuesday 13/08/2019 1900 Booking not available here None This is a trip run by the DCC on behalf of Cheshire East Ranger Service. For details and to book, please go to https://www.cheshireeast.gov.uk/leisure,_culture_and_tourism/ranger_service/ranger_events/ranger_events.aspx which will take you to a booking page on Eventbrite. Please do not contact the DCC about this trip. This trip is aimed at children accompanied by their parents or guardians. Please do not book on to this trip unless you are bringing children. A morning trip may be arranged if there is sufficient demand. 23:59 on 14/09/2019 Map Meet outside Wizard Tea Room behind the Wizard. Cars can be parked in the main car park - use side entrance opposite the Tea Room. It may be possible for a small party to visit West Mine but this may be an arduous trip for some with several fixed ladders. Wood Mine Monday 28/10/2019 1900 Booking not available here None This is a trip run by the DCC on behalf of Cheshire East Ranger Service. For details and to book, please go to https://www.cheshireeast.gov.uk/leisure,_culture_and_tourism/ranger_service/ranger_events/ranger_events.aspx which will take you to a booking page on Eventbrite. Please do not contact the DCC about this trip. Wood Mine Tuesday 29/10/2019 1900 Booking not available here None This is a trip run by the DCC on behalf of Cheshire East Ranger Service. For details and to book, please go to https://www.cheshireeast.gov.uk/leisure,_culture_and_tourism/ranger_service/ranger_events/ranger_events.aspx which will take you to a booking page on Eventbrite. Please do not contact the DCC about this trip. 23:59 on 16/11/2019 Map Meet outside Wizard Tea Room behind the Wizard. Cars can be parked in the main car park - use side entrance opposite the Tea Room. It may be possible for a small party to visit West Mine but this may be an arduous trip for some with several fixed ladders. 23:59 on 14/12/2019 Map Meet outside Wizard Tea Room behind the Wizard. Cars can be parked in the main car park - use side entrance opposite the Tea Room. It may be possible for a small party to visit West Mine but this may be an arduous trip for some with several fixed ladders. * Please refer to further information above. Select the date and time of the trip from the table on the left. Scroll up or down for more days and times. 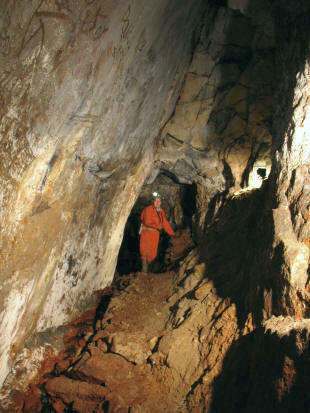 West Mine trips, if available, are more arduous and children must be 14 or over. For more details, see the FAQs or contact the Club before you book. Remember that you can add more detail in either of the message boxes above.